Our innovation: a next-generation high-performance MPPT (maximum power point tracking), “Non-Perturbing Adaptation” method. Optimizing photovoltaic energy, this breakthrough technology removes microprocessors (and their varied and binding algorithms) and drastically reduces cost prices. 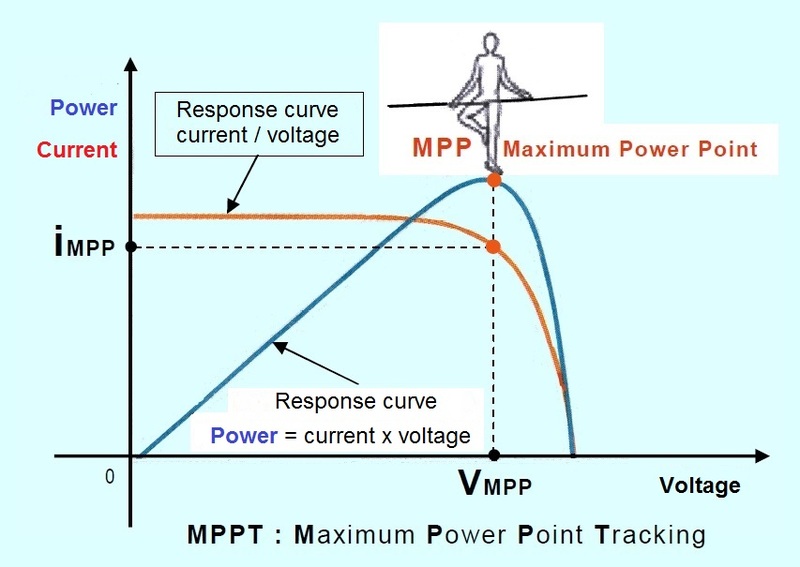 This MPPT innovation concerns off-grid photovoltaic systems as well as grid-connected ones, the MPPT being included in a solar charge controller (standalone or within a solar inverter).